Check-in starts at 7:00AM at Lynn Hall. We are partnering with area shelters to have adoptable dogs running in our race! There will be a booth set up at the finish line to provide additional information about these shelters as well as representatives there to fill out adoption paper work. So come run with us and find your new furry friend! All these dogs are looking for forever homes! The 2018 PVM Fall Conference will be held on Purdue’s campus. The Dr. Skip Jackson Dog Jog will take place during this time as great event that embraces the rich tradition and history of Purdue Veterinary Medicine. The 2018 Dr. Skip Jackson Dog Jog will begin at 8:00 A.M. from Lynn Hall Saturday, September 22, 2018. The annual race, sponsored by McAfee Animal Hospital, attracts faculty, staff, students, alumni and their dogs for the 5K Run or Walk. The event, which is named in honor of Dr. Horace (Skip) Jackson, professor emeritus of veterinary physiology and biochemistry, was first held in 1972 and is one of the longest-running traditions of the Purdue Veterinary Medicine Fall Conference. 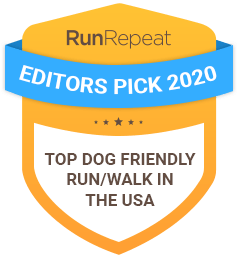 All proceeds of the 2018 Skip Jackson Dog Jog will go to the PetSafe Program. The PetSafe program is a community service offered by Purdue University's College of Veterinary Medicine to meet the short-term housing needs of pets whose owners are temporarily unable to provide care (natural disasters, domestic violence, health issues, etc.). For more information on the PetSafe program, please click on the following link https://vet.purdue.edu/vth/small-animal/petsafe.php..